Business to business communication is one wherein two or more companies communicate with regards to business tractions. These could be financial transactions, joint ventures, partnerships and so on. The B2B Email List from Leo Data Services is an extensive mailing list containing mailing details of thousands of companies. These companies belong to almost every sector. Moreover, B2B Mailing Lists are categories dividing respective companies according to their industry. Additionally, the list contains complete details of the businesses including personal details of top decision makers. All of this empowers marketers to conduct extensive multichannel promotional campaigns for increasing their customer base. In addition to this, the segmentation would allow them to channel their efforts according to the sector. All of these factors make the Business Lists an ideal tool to increase inbox placements, click-throughs as well as ROI. Purchase this list and realize your marketing dreams. 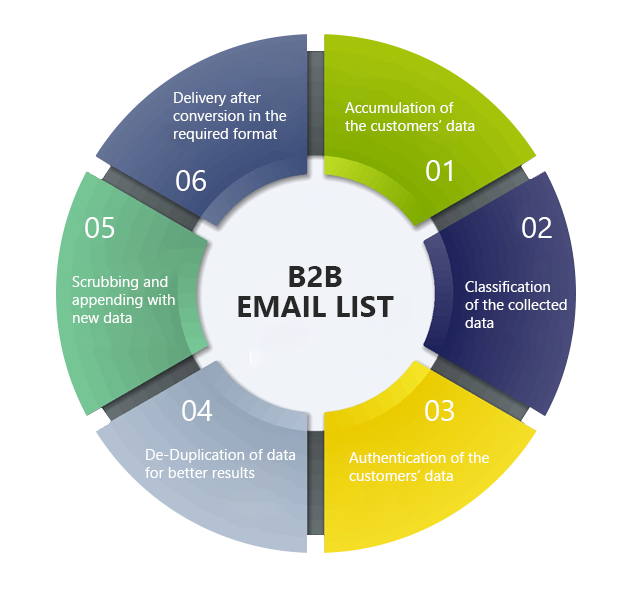 Why choose the B2B Email Lists from Leo Data Services? At Leo Data Services, we carry out an extensive research into demographics, firmographics coupled with purchasing power and socio-economics. This ensures that our data matching services provide nothing but the latest and most accurate consumer information. Additionally, we undertake deduplication to ensure that any future re-work can be avoided. So, our email lists are nothing short of being a great resource for marketers. How is B2B Email Lists useful in marketing? Businesses planning to connect with the best possible customers, to promote their brand and generate better revenue, need a qualified marketing list containing comprehensive details of the target customers. We not only compile lists but also verify and append them to ensure correctness. It helps in realizing potential leads that quickly converts into sales, thus, improving conversion.